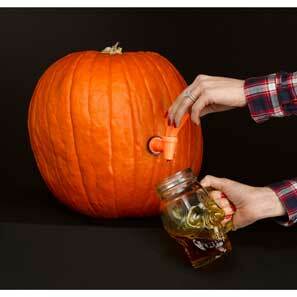 • Fun way to serve beverages at your Halloween party! 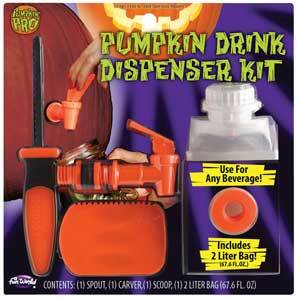 • Put a full 2 liter drink in the beverage bag or fill with your own brew. • Kit contains; Carving knife, Scoop, 2 Liter Beverage Bag, and Spout.